Square Enix has announced the launch of Hitman GO on iOS devices, bringing the famous Agent 47 to mobile devices in a turn-based puzzle game. 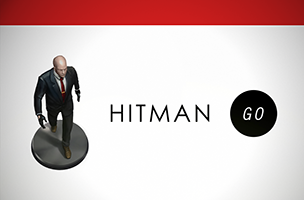 Hitman GO was built to incorporate the franchise’s core mechanics (those seen in the brand’s many console games), like disguises, distractions and weapon variety, but offers the simplest possible game to appeal to the most players. In Hitman GO, players explore diorama-style set pieces, with a grid on the ground marking Agent 47’s possible paths. Depending on the chosen path, players can complete levels violently or silently, interacting with (or avoiding) patrolling enemies, guard dogs, enemy snipers and more. As Agent 47 moves, so do the surrounding characters, so players must think ahead to plan their proper route. They may find disguises hidden in closets, or buttons that must be pressed to progress. Players can hide when necessary, or unlock secret passageways to avoid conflict altogether. Existing Hitman fans will recognize one particular location, as the Opera Chapter has been based on the level from Hitman: Blood Money. Hitman GO is now available to download for $4.99 on iOS devices, and is coming soon to Google Play. You can follow the game going forward on AppData, our tracking platform for mobile and social apps and developers.